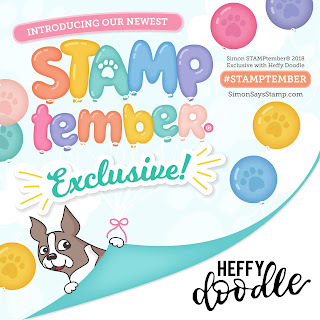 Heffy Doodle + Simon Says Stamp STAMPtember Release! Oh my goodness, the excitement cannot be contained!! 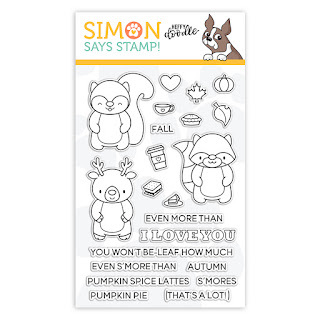 It's STAMPtember! And Simon Says Stamp is collaborating with Heffy Doodle on an exclusive stamp set that's being released today! 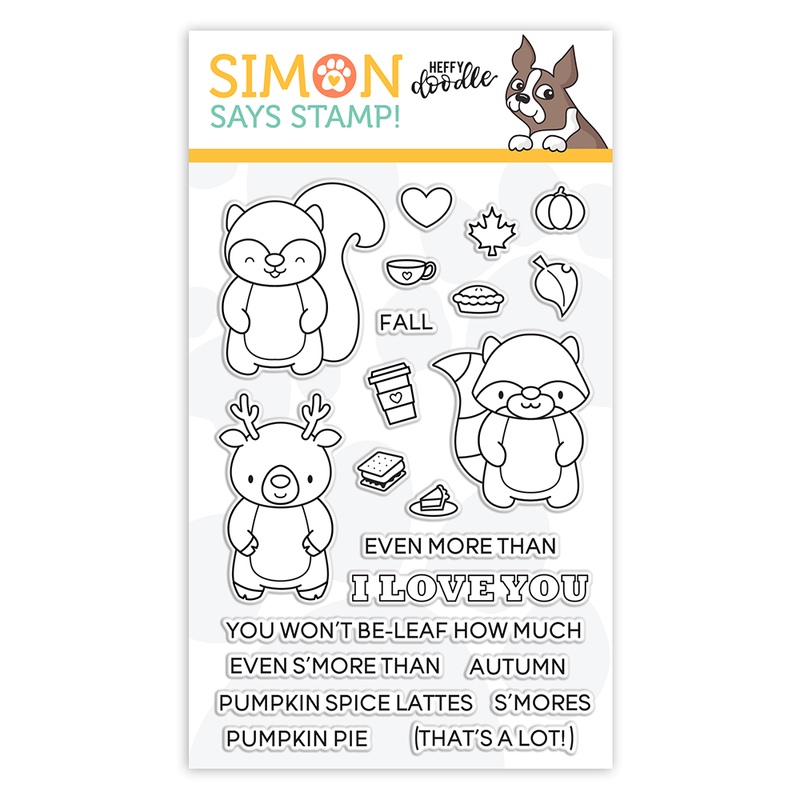 The stamp set is called "More Than S'mores" and as you can see, it basically has all your fall favorites covered, am I right?! I created a card for today's post and I hope you get inspired to drop your dollars for this one-of-a-kind set. 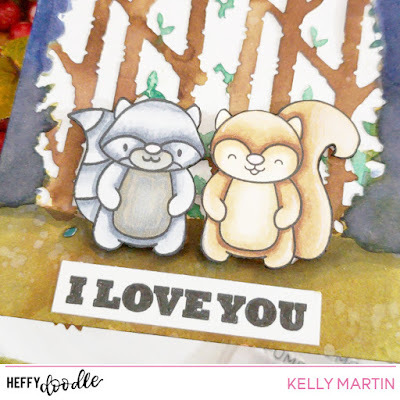 I began by using a Birth Tree Window die and cutting it out of a piece of watercolor paper. After I'd created my window piece, I broke out my Distress Inks and painted the scene. I was feeling inspired to create a dusk/sunset type sky and ground, so I used some deeper shades of blue and green to achieve that look. I then stamped my images on to copic friendly cardstock, colored them, and fussy-cut them out. I glued them on to my watercolored piece and then glued that whole piece on to a cut and scored card base. I finished off the card by stamping out the two sentiment phrases on white cardstock strips and then glued those strips down on my card. Thanks for stopping by today and you can find this adorably exclusive set here WHILE SUPPLIES LAST!! Home For the Holidays Release Day!